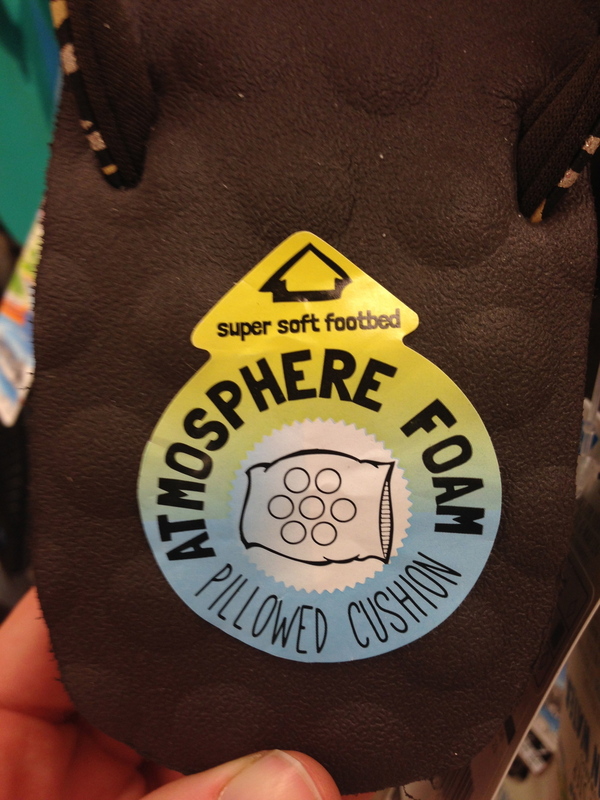 who cares if it's pillow-like if your back hurts and your toes grip? 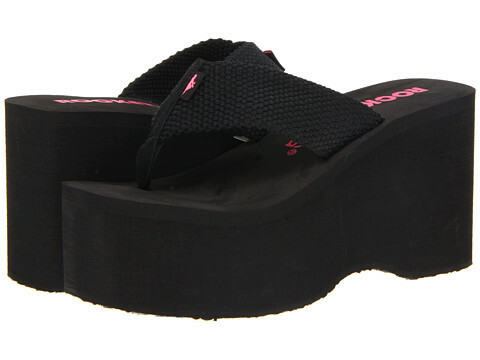 Do you remember those crazy platform flip flops popular in the late 90's? Well, they're back, and Buffy the Vampire Slayer is long gone. Combining both heels, wedges, and flip flops, the foot-murderer-flip-flop is here, much to my chagrin. What's wrong with them? Elevated heels affect the spine, the flip flop style forces the toes to grip and the bottom of the foot to contract, and you start walking oddly to compensate. As warmer weather begins to permeate the east coast, choose sandals that are friendlier to your feet, and don't cause pain. And don't even think about walking or playing your instrument!!! PS. Read Katy Bowman's blog post from yesterday about how flip flops affect your feet! Now that I've got you hooked into this scintillating tale of podiatry woe, let's examine shoes and feet again, and look at some of the culprits to pain. Heels: I know I've looked at what goes on in the spine, but let's look broader. Much of this is from Katy Bowman's work, and her two subsequent books, which are excellent. 3. The plantar flexion and downward push jams the foot down into the tiny toe box, which only exaggerates your chance for bunion and hammertoes and icky foot issues. 4. Heels contribute to knee joint degradation and osteoarthritis. Holy smokes, stop there! I've mostly stopped wearing heels because of my meniscus damage from a bike accident. I am still woefully guilty of a few elevated sandals and some dress shoes, but I'm slowly whittling my collection down, year by year. 5. Changing the position of the spine can lead to back pain, as well as saw in post 1. If you hyperextend your knees while standing and then flatten out your lumbar curve, it hurts! Why would you add an instrument to that instability? Aside from my sheer pallor, notice how toes tend to grip in flip flops as you walk...Not so great! Flip flops: The classic summer time shoe...that's causing your toes to grip and your plantar fascia to tighten. At summer festivals and in warm climates, folks like to wear flip flops outdoors and then change into dress shoes for concerts. While flip flops are often flat (if they're not, see above! ), your toes are gripping on for dear life to keep that shoe in. That gripping is toe flexion, as well as a tightening of the plantar fascia, which can once again, lead to plantar fascitis. Try sandals with a back strap, and with open toe boxes so your toes can spread, be free, and be happy! (Men, this applies to you too.) Maybe save the slippers for the beach? Obviously, if your flip flops are flat, it's not going to affect your performance while standing or sitting unless you have plantar fascitis, which is icky and painful. Don't forget that we change our gait pattern when we wear flip flops, often dragging our feet or just flinging our leg in front of us, rather than pressing off with the back foot. Start looking at your shoe collection-what do you wear for long walks? Running? Concerts? We all have heels and flip flops and elevated running shoes, which are fine for occasional use, but not as a daily shoe. Look at your sneakers too-is there a huge padded heel? That may affect your spine as well. Start wearing flats (Toms are my go-to, or these fun new Vibrams) for longer walks and notice if there's a change in your feet, your gait, and your overall body.